Owning and running a business is no small feat! From dealing with employee turnover, to buying the right amount of merchandise, paying for renovations to expand your business and everything in between, we applaud you for taking on the challenge of being a small business owner in the great country of Canada. 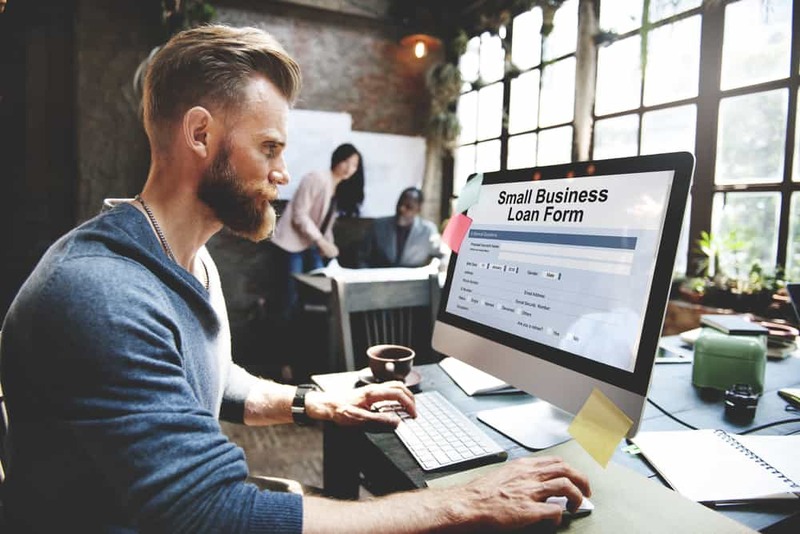 While we can guess that you’re quick on your feet and can understand a lot of complicated issues that arise suddenly from being a business owner, do you know everything you need to about business loans? Whether you have experience with them or not, business loans can cause major confusion. During the process of finding the right lender and loan for your small business’ needs, you may run into a lot of complicated language that might not be explicitly clear. Additionally, not diligently reading through the loan’s terms and conditions could hurt your business as sometimes certain language can be hyer-restrictive without you being aware. It’s important to understand all the words a lender uses in both your verbal conversations as well as within the business loan agreement. This ensures you can be confident that you know everything you’re getting into when signing on the dotted line. At LendingArch, it’s our mission to empower you during the loan process. In this guide, we’ll define some of the most popular terms used throughout most business loans. Amortization: In a business loan setting, this word describes how the borrower (you) will pay off the loan amount. If a business loan is amortized, then the borrower will pay it off in regular, scheduled payments. These payments will be made for the same value and will be paid until both the principal and interest are paid in full. ARP: Also known as Annual Percentage Rate, this is how “expensive” a loan will be for the borrower. ARP factors in fees and compounding interest to take into account how much a business loan will truely cost year after year, thus capturing an accurate total amount of money being borrowed. Pro-tip: when looking at business financing, ARP is a better rate to look at than just the interest rate alone. Blanket lien: In the context of a business loan, a blanket lien means you’re agreeing to give your lender the ability to seize just about all forms of your business’s property should you become unable to pay off your debt. Collateral: In order to secure a loan, you’ll need to have collateral. This simply means that you provide something of value such as real estate, vehicles, or financial accounts a lender in case you’re unable to pay off your debt. Pro-tip: when you’re able to provide a lender collateral, you’ll likely qualify for funding and also possibly secure a business loan with favorable terms. LendingArch is here to help you find the best business loan for your needs and your financial situation. Factoring: This is a type of business financing where a business owner will sell their outstanding customer invoices to lenders for 50-80% of their value. Factoring is an easy way for borrowers to get cash fast. The only downside is that it’s more expensive than other financing options. If you do proceed with factoring, you probably won’t get a say in how the lender collects on those invoices. Meaning it could damage any customer relationships that you have established. Factor rate: This goes hand-in-hand with short-term financing. Unlike ARP, factor rates are decimals (ARP is a percentage) used to multiply against principal debt. The end number is what you’re paying off. For example, a cash advance of $10,000 at a factor rate of 1.28 means you’ll be paying $12,800 back. Character, capacity, capital, conditions, and collateral. Fixed interest rate: An interest rate that stays the same throughout the entire lifetime of a loan. Pro-tip: variable interest rate is another type of rate that you may see. The difference between a fixed rate and variable rate is that the latter will increase in increments over the life of a loan. This means with variable interest rate, you’ll end up paying more. Grace period: A lender’s pre-determined length of time following a payment due date where you can still make your payment without getting a late fee or other negative effect on your credit. Pro-tip: Lender’s grace periods typically vary. It’s important to make sure you know the correct length of your grace periods for your business loans. Line of credit: This is a combination between how a loan and a credit card works. A line of credit will allow you to borrow money from a lender whenever you might need it. The lender will set a cap on the amount you can borrow and the amount of time that you’ll have to pay it off. Typically, a line of credit will come with either a monthly or yearly fee. Other terms and conditions will apply depending upon the lender. Loan-to-value ratio: Also known as a LTV ratio, a lender will consider this when you apply for a loan with them. Merchant Cash Advance: This short-term financing option allows a borrower to receive cash immediately in exchange for repayment through future credit card sales. Different from a traditional loan, a merchant cash advance allows lenders to collect directly from your merchant processing sales. They do have higher interest rates and are therefore more expensive in the long run. Conversely, a merchant cash advance is typically very easy to get approved for. Prepayment Penalty: Also referred to as neutrally, sometimes lenders will charge you a hefty fee for paying off your loan early. While you might not think you’ll be in a position to worry about this, we recommend that you consider it before signing on the dotted line. Consider whether a business loan that has a prepayment penalty in the terms and conditions is a good fit for you financially. Pro-tip: This is one of the most crucial terms you need to understand when it comes to business loans. Principal: This verbiage refers to the original size of your loan. If your business loan is for $50,000 then the principal amount of that loan is $50,000. Secured: If your loan is secured that means it’s been borrowed with a lien on your assets. Basically, if your business loan required collateral then it is considered a secured loan. Pro-tip: A loan can be unsecured. This means that the debt doesn’t have any collateral attached to it. Oftentimes this loan is more expensive to the borrower as it’s more risky for the lender. Usually these are pretty hard to qualify for. Subprime borrower: This term refers to a borrower who is higher risk. How is that determined? Typically, someone is less likely to be qualified for a traditional business loan if he/she has a low credit score. If you don’t think you’ll qualify for a loan and don’t have a co-borrower, we may be able to help. LendingArch specializes in working with people who have little to no credit. Term: Lenders use “term” to describe the length of time you’ll take to pay back your loan. Business loan terms can be as short as three months and as long as 25 years. It all depends upon your lender and the kind of financing you’ve received. . Underwriting: During the underwriting process, a lender is accessing the risk they will take should they decide to lend money to you. This process also includes a review of the terms your loan will include, should you qualify. Working Capital: Working capital is how much money (or capitol) your business currently has minus any debt. Of course, the above list is just a high-level guide on some of the most common terms you’ll encounter in any business loan. In order to make sure that you have all of the knowledge needed to make a cohesive decision, we encourage you to do your research. Additionally, it may be a good idea to ask your other business friends to see if they have experience with business loans and are willing to help you understand the process. Having said that, now that you’ve read through this guide, you should feel empowered and more educated on the terms you’ll run into when applying for business loans. For additional help, check out other blog about business loans and how they affect your credit score. It’s important to know all aspects about business loans before you commit to one. Oftentimes an online personal loan can provide the best alternative for Canadian business owners. That’s where we come in. We “match” Canadians to loans and lenders who will most likely make a great match. This helps to reduce the stress of applying to multiple lenders for borrowers. It also makes sure that your credit doesn’t take multiple hits. Utilizing our platform means that you can compare small business loans in seconds, with no collateral required. We also offer an easy online loan application process, flexible repayment schedule, and fast funding directly to your account. Get started today. Contact the LendingArch team to help get you started on your small business loan.